Toshiba is better known for giving the world a dash of technology every now and then. 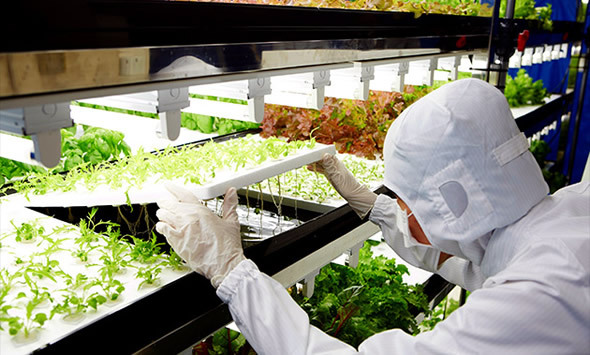 Never before have we heard of this company growing vegetables. As alien as it sounds, that’s exactly what Toshiba is up to lately. The Japanese electronics giant is looking forward to producing 3 million bags a year, which in turn will strengthen its position as a healthcare company. Using all the technology it has got at its disposal, we think this isn’t going to be extremely difficult for the company either! Whoever said streetlights are an indispensable means to road safety probably should have a look at what the folks over in Netherlands are up to. 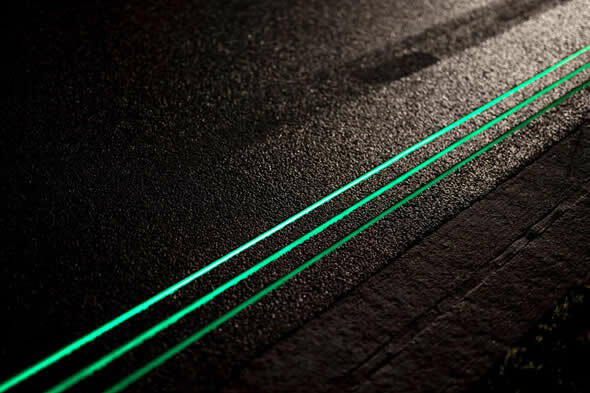 Instead of using electricity-hungry street lights, the Smart Highway project makes use of photo-luminescent stripes that glow in the dark, guiding drivers. The stripes soak in sunlight during the day and glow during the night. Design firm Studio Roosegaarde has been testing this concept that seems to be quite practical, so long as drivers keep their headlights on too. Winter’s here and with it, comes the immense need for fire wood globally. While wood may seem like a great option to keep the fireplace roaring, it isn’t always so. Wood is better off in rural areas that are off the grid and have no connection to optional heat sources. Here’s why. Wood is a great way to heat up, so long as not everyone is cutting down trees for firewood. Instead, paper log bricks are a cheaper and much more environmentally friendly way of starting a fire! 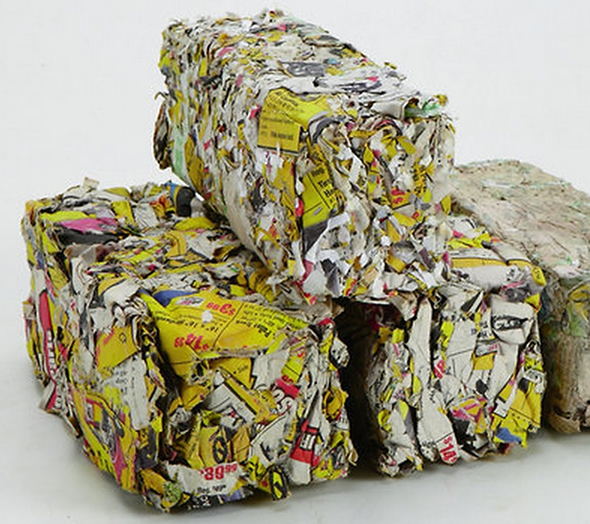 These paper bricks are made from waste newspaper and are perfectly combustible, making them a great option for those in urban areas. Junk does not necessarily need to end in a dump yard and Portuguese artist Artur Bordalo (Bordalo II) just proved the same! 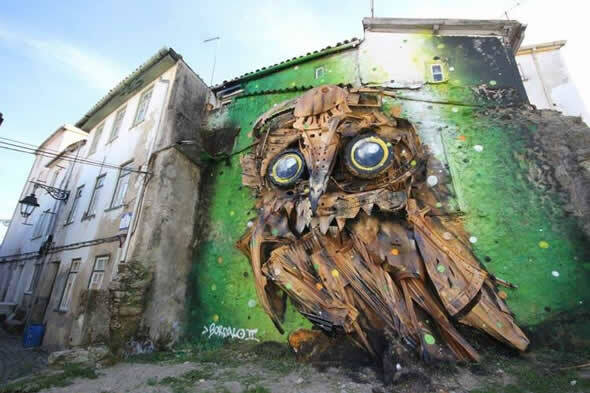 The artist displayed the Owl Eyes installation at the WOOL urban art festival in Covilhã, Portugal. What sets this one apart from a big chunk of the art installations you’ve seen before is the fact that the Owl Eyes is made from scrap. The installation was constructed from all the waste materials scavenged by Bordalo. 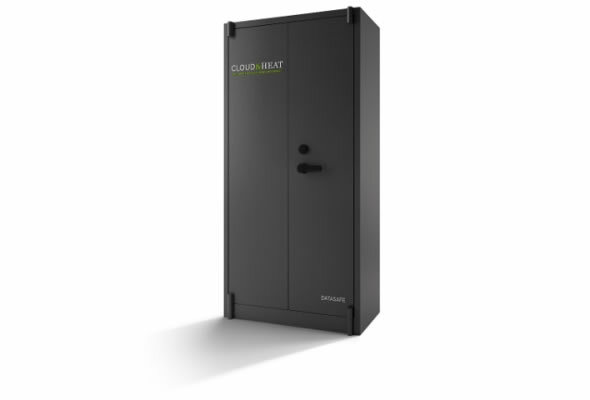 German company Cloud & Heat offers home owners free heat, in exchange for space to store servers! It’s common knowledge that cloud-service providers are usually faced with space crunches and have a hard time disposing off the excess heat cloud data centers produce. In an innovative move to address both these issues, Cloud & Heat, a German company, promises to heat your home, so long as you accommodate a server rack! To be eligible for this, your home must have a water tank that holds between 125 and 2,000 liters. Apart from this, you also need a dedicated meter for the DataSafe (quite logical), a breaker panel with room for three 16A circuits, and an Internet connection of at least 50Mb/s. Buying a new home or investing in land around Noida is a great idea. 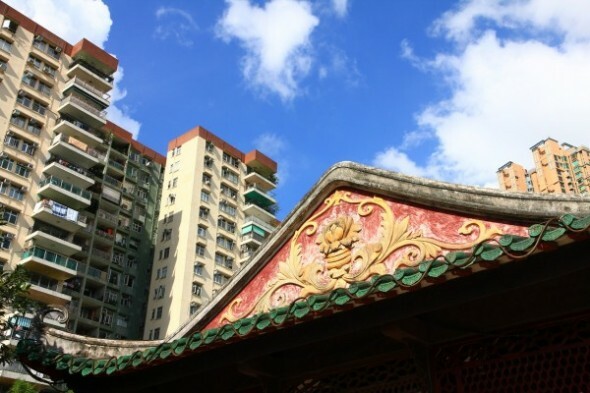 However, several factors come into play when selecting a property for investment. Remember, you will be spending a large amount of your life earnings or taking a loan to buy the property and it should appreciate over time. Noida is emerging as one of the biggest residential and industrial hubs in Northern India. Thanks to tax exemptions, special economic zones, and affordable prices, Noida is one of the most attractive places to buy residential and commercial property, states NDTV. However, you should be very careful when investing in real estate. For first-time buyers, here are a few things you should consider. We’ve seen maps and satellite pictures of countries before. None of them have fascinated and left us as awestruck as this one though. 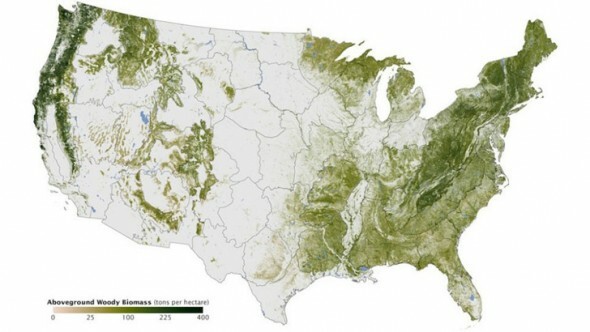 Created by Josef Kellndorfer and Wayne Walker of Woods Hole Research Center in conjunction with the U. S. Geological Survey Science Center‘s Earth Resources Observation and Science (EROS) Center and the US Forest Service, this map literally shows the density of greenery in the United States. Simply put, the map tells you which places in the country have more trees and which don’t! Washing machines aren’t the most eco-friendly way of getting a load of laundry cleaned, given the fact that most of these, particularly the older models, use and waste a substantial amount of water. 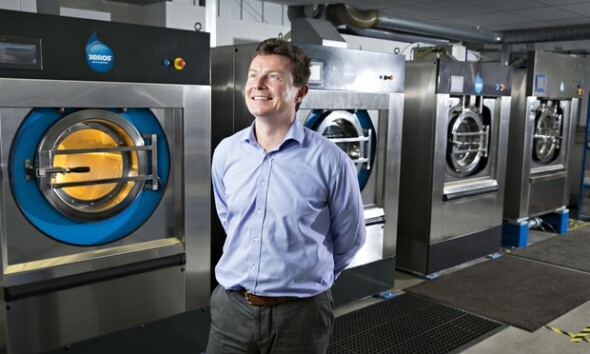 Keeping water-conservation in mind, Sheffield-based Xeros has come up with an innovative solution to washing clothes in an eco-friendly way! The company has developed a washing system that uses thousands of tiny nylon beads to clean clothes, in turn cutting down water and electricity requirements tremendously. 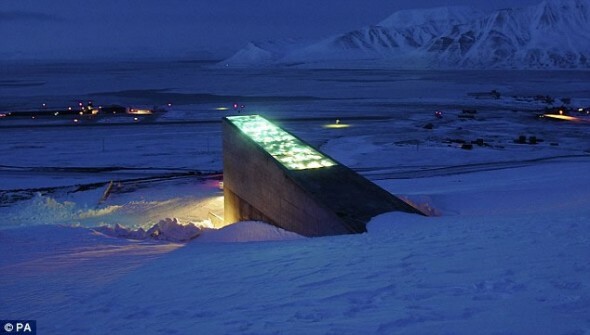 This may seem right out of a post-apocalypse sci-fi movie, but yes, humankind does have a seed-bank containing 825,000 samples of seeds, nestled in the Arctic. This seed-bank will help provide a backup to the network of seed banks around the world in case of war, natural disasters or alien invasions. Currently, about 10,000 new varieties of crops from around the world are being added to the seed-bank, which now represents 13,000 years of agricultural history! Let’s face it, pollution is rampant. No matter how hard we try to escape from the deathly grip of these man-made hazards, pollutants somehow manage to wind up in our day to day life! 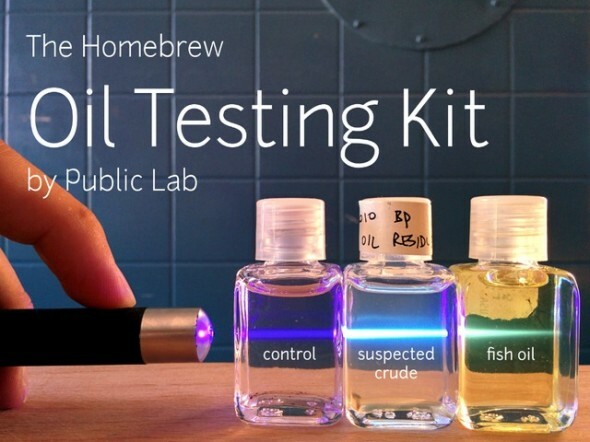 To help the wary stay away from hazardous pollutants, the Public Lab recently unveiled this DIY kit called the Homebrew Oil Testing Kit that enables users to keep away from oil pollution. The kit recognizes the types of oil pollution and is also capable of determining sources.